Steel wires and piano wires are used much more recently in flower arrangement and hand crafts for more variety of expression technique. 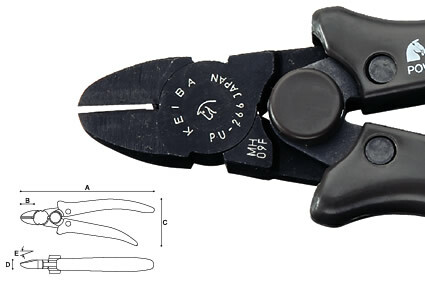 Sometimes it is hard for ladies to cut these hard wires with regular pliers on the market. We have developed Power-Up series for ladies to cut hard materials with much less gripping power. Power-Up series have a graceful design, but with double cutting power.